JobSafe SA is a fully accredited SafeWork SA training provider running frequent WHS Training courses throughout the year. For a complete list of the current courses on offer please click here. and we can send one to you by post, fax or email. 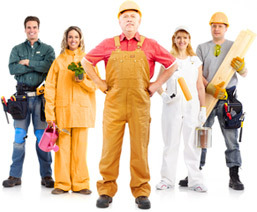 JobSafe SA are also flexible in catering specific courses to suit your industry needs. Our trainer can attend onsite workshop/training sessions for your employees. Course content can be tailored to capture specific health and safety issues within your company. Costs for this service are negotiable and are developed in consultation with you, upon learning the details of your requirements. For further information please contact us by email at training@jobsafesa.asn.au or Phone on (08) 8360 1920.